Meet the creatives behind The Limelight Group's Productions and Merchandise. Richard Lewis founded The Limelight Group in 1996. 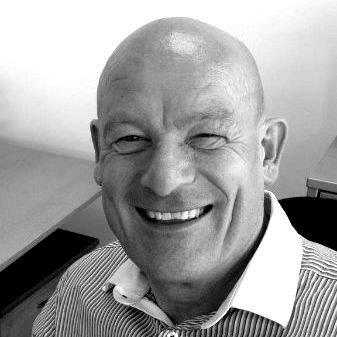 Prior to The Limelight Group Richard was General Manager at Bill Kenwright Ltd, Chairman of AKA marketing, and served on the TMA Council of Management. Richard is also Vice President of Commercial development for the entertainment marketing agency Boom Ents. Richard adapts, writes, and directs all Limelight children’s theatre productions including Peppa Pig, one of the most successful branded children’s theatre productions worldwide. Richard leads the creative development of branded children’s theatre productions and the development of the Fierylight partnership. Richard Lewis wanted to be a fireman, trained as a teacher, became an actor, managed a production company, and then decided to build a garden shed. His shed became a global production and merchandise company, with slightly larger sheds – worldwide. Richard’s hobbies include insomnia, bee keeping and boxing, saving tigers, jive dancing, and laughing. As Finance Director Jane has been with The Limelight Group since its inception twenty years ago. Jane is responsible for financial planning and analysis and the formation of the international development of production and merchandise. Away from production budgets, and accounts, Jane enjoys gardening and netball. Martin has produced and General managed all of Limelight’s productions since 1999, and internationally since 2001. He has also worked briefly as a pop video producer and actor and is married to Sarah and has twin daughters Elizabeth and Charlotte.